Imagine being kept in a tiny cage barely big enough for you to turn around. You spend years in this compound. But the real trouble starts when the door to your home is opened and you are faced with a pack of eager hunting dogs. 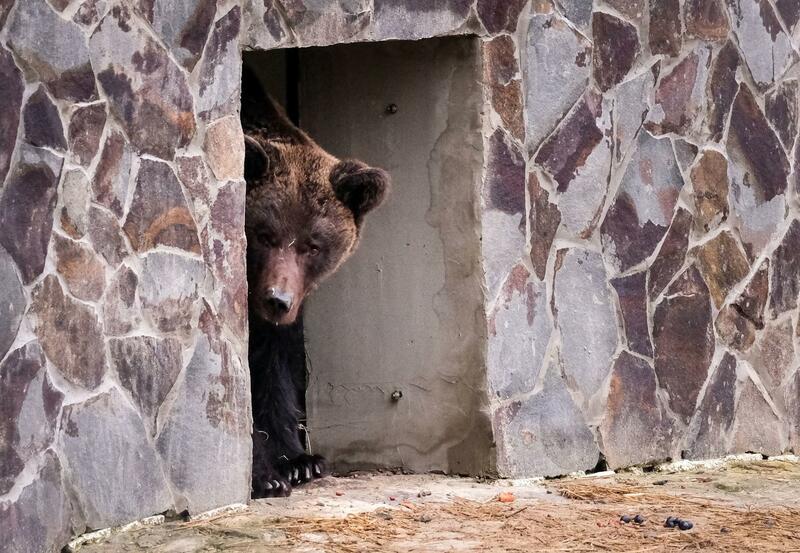 This used to be reality for Mashutka, a female brown bear of around thirteen years of age, rescued by FOUR PAWS in November 2017. 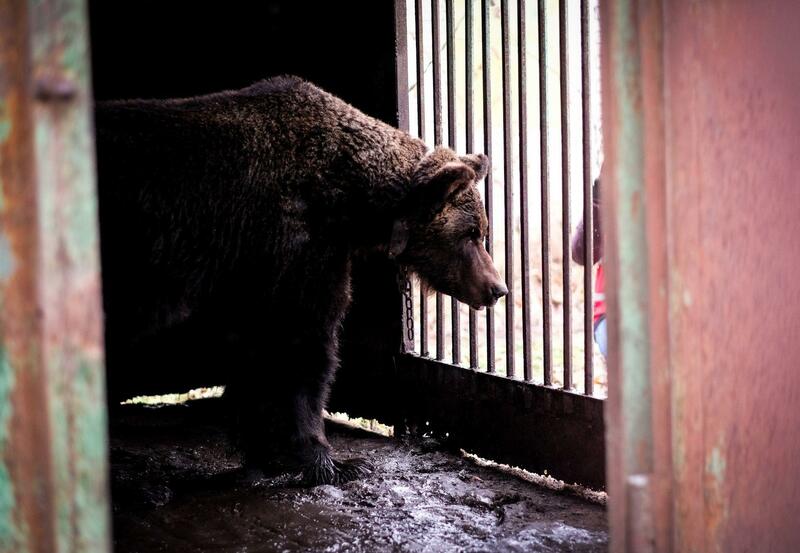 Before her transfer to the FOUR PAWS BEAR SANCTUARY Domazhyr near Lviv, she had been regularly forced to fight dogs at hunting stations near Kiev. Bear-baiting involves training hunting dogs by setting them on bears. 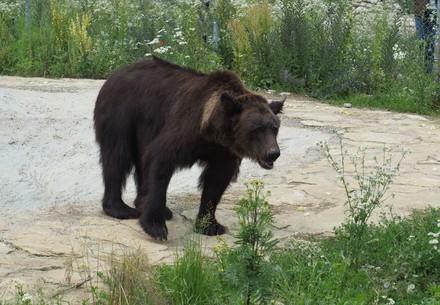 However, the bears are rarely able to defend themselves. "Bear-baiting is a gruesome practice whereby bears are tethered and controlled with ropes or chains so that they are scarcely able to defend themselves against the dogs’ attacks. 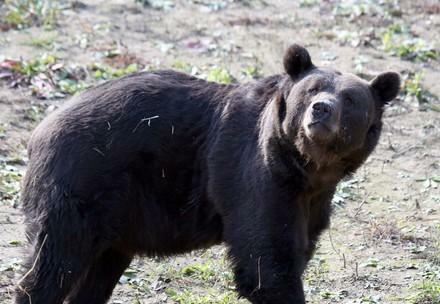 Although bear-baiting is against the law, we know that it still takes place. 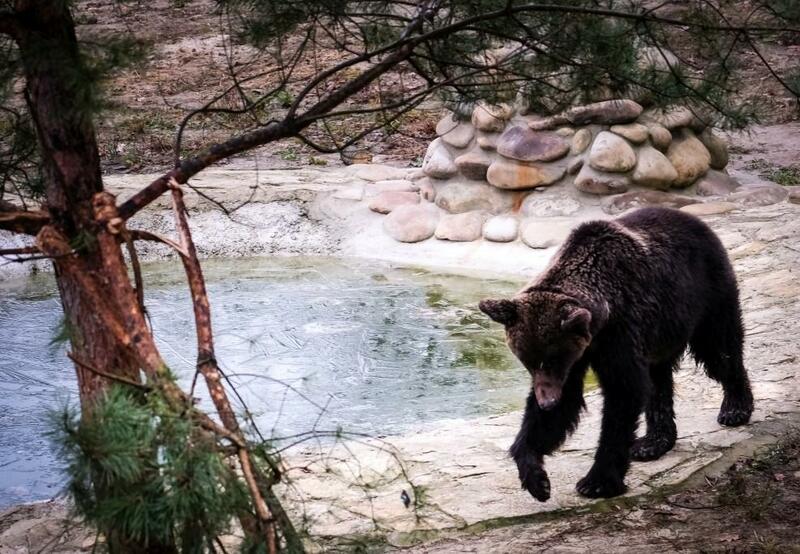 Therefore, FOUR PAWS is calling for a ban on the keeping of bears on hunting stations and under other cruel conditions, and is also helping the government by giving bears like Mashutka a species-appropriate home in our BEAR SANCTUARY Domazhyr." Watch this touching moment when we freed Mashutka from her chains and moved her to a place where she will never have to fight again. Did Mashutka once belong to a president? FOUR PAWS believes it is likely that Mashutka was mistreated at hunting stations from a very young age. 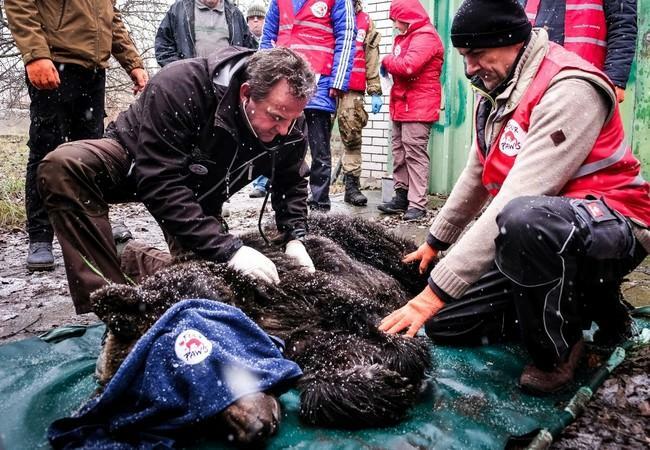 However, conversations with her former owner suggest that as a cub she may once have belonged to former president Viktor Yushchenko. Apparently, he received her as a birthday present. 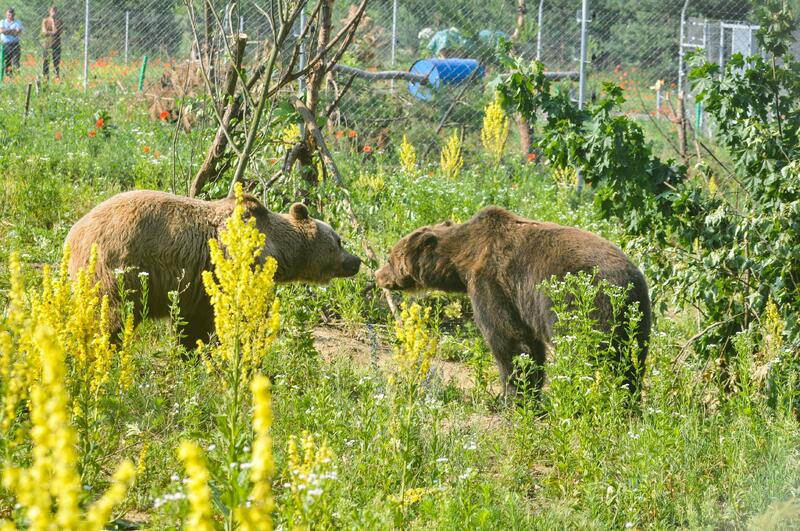 After lenghty observation of the behaviour of bears Tyson and Mashutka, the team at our BEAR SANCTUARY Domazhyr decided to socialize the bears. 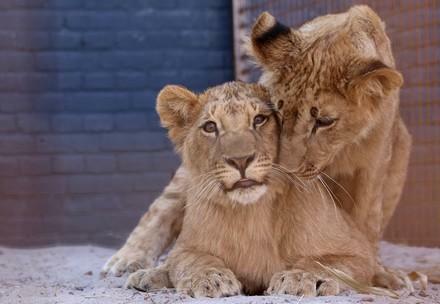 Both were rescued last year and have made incredible progress since then. When they met each other it was friendship at first sight: they greeted each other with what almost looked like a kiss. Soon Tyson relaxed, becoming his lazy self, while Mashutka showed more curiosity, observing Tyson from the undergrowth. We have yet to see if this attempt at socialization will succeed long-term, but signs are looking good.